SAN JOSE — October 5, 2017 — The Graduate, a new residential tower geared towards students in downtown San Jose, is poised to be a fresh development venture that can help combat the Bay Area housing crisis. 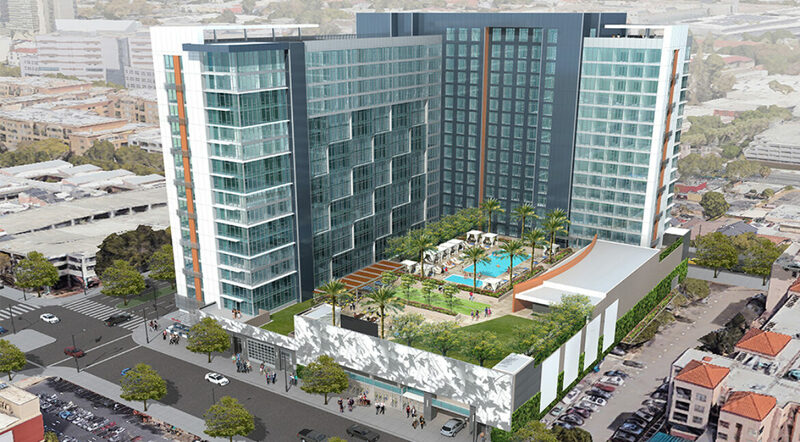 Developers say The Graduate, an L-shaped project being built at 300 S. 2nd St., is a 260-room high rise a block from the edge of San Jose State University. The project is a joint venture of San Jose-based Swenson, a realty development and investment firm, and Los Angeles-based Amcal Equities, a long-time residential developer. “The Graduate will serve as a significant bridge between campus and the SoFA District as well as the surrounding urban amenities of downtown,” said Case Swenson, president of Swenson. San Jose’s SoFA District is the downtown’s principal arts and entertainment area and stretches along three blocks of South First Street between San Carlos and Reed streets. The new project is between the university campus and the SoFA neighborhood.